Click on an example image to load it. Warning: This overwrites all current settings and the loaded data! 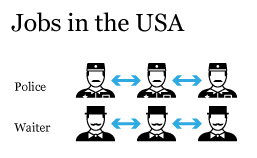 Tired of creating isotype graphics manually? isomatic does all the heavy lifting for you and still leaves you with the opportunity to customize the graphic in your favorite vector graphics editor like Adobe Illustrator. You start by importing your data via copy'n'paste from a spreadsheet application, like Excel or Numbers. 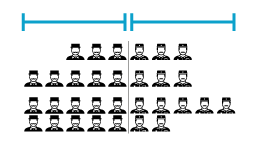 isomatic gives you the choice between several isotype layouts. A broad library contains many custom designed icons and many options to layout and design the graphic. If you seek help, the interactive tour will guide you throughout the whole process. 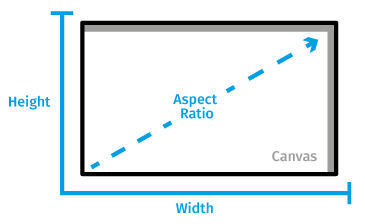 Either you change the aspect ratio of the canvas and isomatic calculates the width and the height of the grid. Or isomatic adjusts the aspect ratio automaticaly in relation to the current size of the canvas. 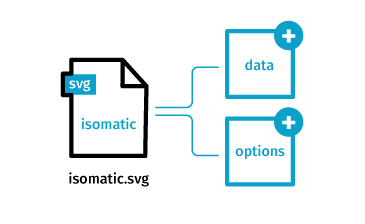 Only SVG files, which were adjusted, rendered and exported in isomatic, can be imported later on. Additional changes outside, for example in Adobe Illustrator etc., can’t be imported by isomatic (deleted options and data). 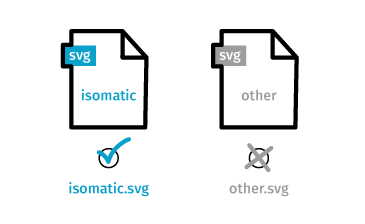 Keep your generated SVG safe to preserve the possibility of changes in isomatic afterwards. The exported file can include all options and data inputs generated by this application. Copy and Paste your data into the "paste data" textarea. Data can be imported from various spreadsheet applications like Excel, Numbers, Google Spreadsheets. Click “Import” to load your data into isomatic and get a preview. Check if everything is fitted perfect – If not, just follow the instructions in "Paste Data". 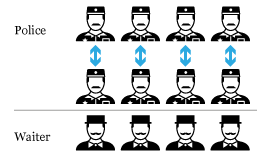 You can choose between different isotype layouts. 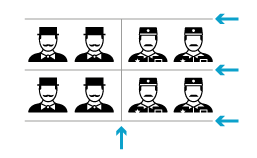 We designed the most widespread types for isotype graphics like the ranked/normal, versus or compare layouting. To see what´s possible with isomatic, just take a look at the Examples. If you like to distribute the columns equally, just activate the first option to assign the icons on the canvas. 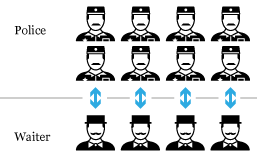 You can additionally align your layout with horizontal or vertical lines. It can be used to visual and intensify the separation of your categories. Choose if the icons should be mapped to the Columns or Rows of your dataset. 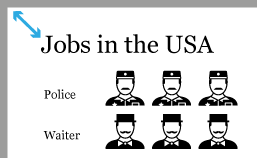 The correct selection depends of course on your dataset and the way you want to visualize it. You can see a list of your available rows or columns with their labels. Choose if the colors should be applied to the columns or rows of your dataset. It is possible to color your icons manually. Click on the color field below the column/row label and select your color via the colorpicker. 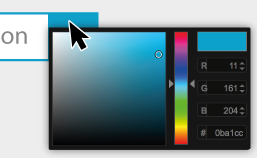 If you like to modify the colors you can change them with the integrated colorpicker. There are a few default colorpalettes supplied. Select one to color all categories of you data set automatically. You can of course alter the colors after you have loaded them from an pallette (see "Colorpicker"). The outer margin defines the distance from the actual graphic to the canvas. 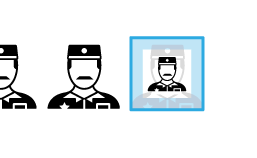 Adjust the horizontal space between your icons by changing this value. Adjust the vertical space between your icons. Adjusts the horizontal space between icon rows. 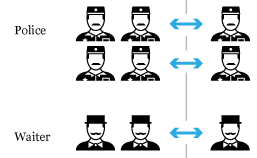 If this is smaller than the Icon Horizontal Margin, it will be ignored. Adjusts the vertical space between icon rows. 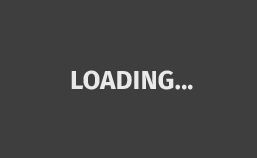 If this is smaller than the Icon Vertical Margin, it will be ignored. The icon size can be adjusted automatically if "Auto Icon Size" is checked. This will calculate sane defaults that may be what you need or not. By unchecking this option you can set the size manually. The scale is initially auto calculated. 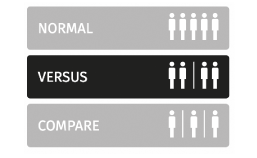 The scale also defines how inaccurate or accurate your dataset will be visualized on the canvas. Enable the Round Size Checkbox to scale the last icon according to the remainding value. 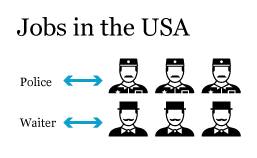 This increases the accuracy of the infographic. RoundUp defines at which point the sizing will ignore the difference and simply round fully up. RoundDown defines at which point the sizing will ignore the difference and simply round fully down. In this section you can change the font size of the legend. This defines the width of the left legend. If your legend text overlaps with the visualization set this to higher value. Draw Column Legend defines if the Column Legend should be drawn at all. Currently isomatic doesn't support fractional digits. Please round your values.